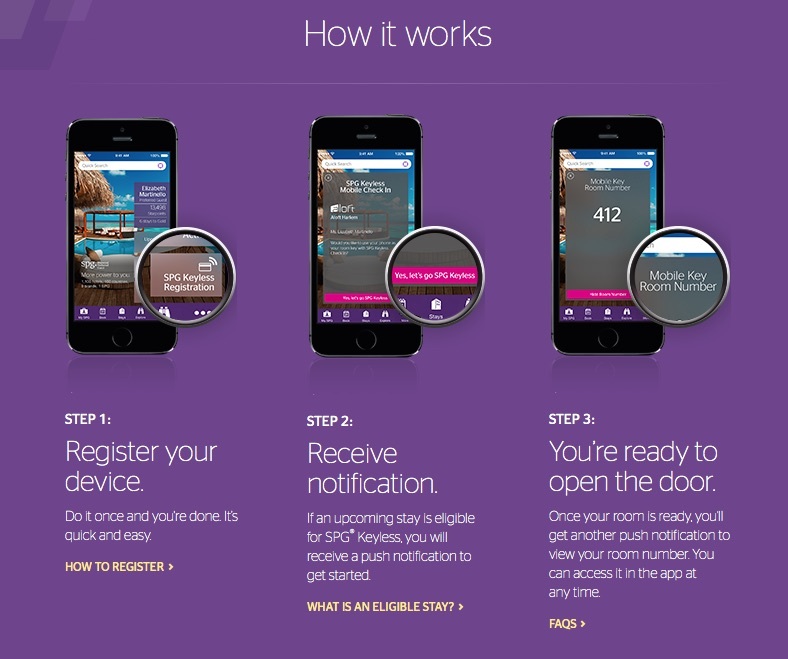 Being a Starwood Preferred Guest (SPG) member for the past 3 years, it was indeed nice to see how this hotel company is embracing technology. They started to work with Foursquare to give ‘check-in’ bonus points, then gave bonus points for booking hotels via the SPG mobile app, and added Passbook functionality. 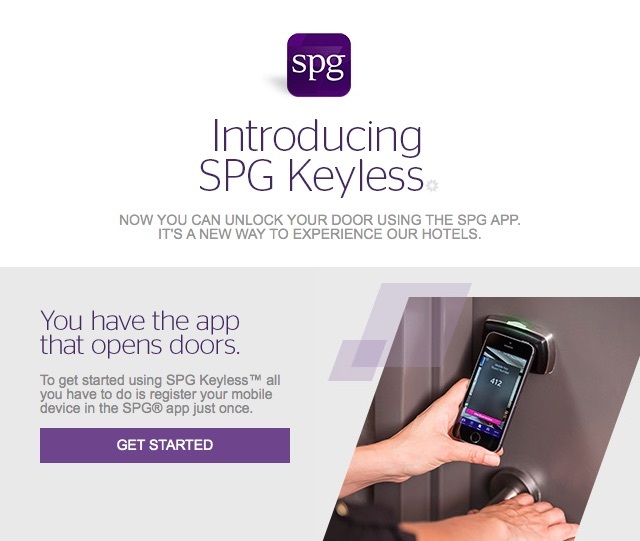 Compared to many hotel chains, they are one of the most tech-savvy, and it is no surprise they are adding ‘SPG Keyless’, giving guests a chance to gain entry to their hotel rooms just using the SPG app via a smart phone. 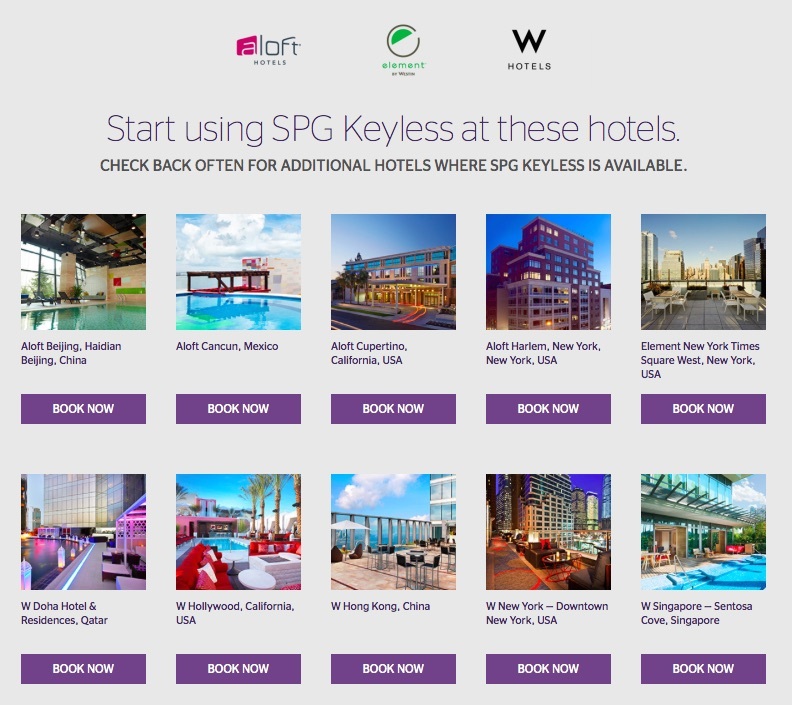 SPG Keyless – mobile check-in without keys! All you need to do is download the latest version of the SPG mobile app via iTunes, and register your mobile device. Users are allowed to register up to 3 mobile devices, and on check-in the room number will be pushed to your smart phone and you just need to ensure your bluetooth is on and place the phone near the receiver at the door knob. Some settings on the phone needs to be switched on including push notifications, bluetooth, wifi and of course a mobile signal. SPG’s corporate video shows the guest bypassing the front desk to obtain the room number and gain immediate entry into the room. However this probably applies to some US-based properties only, since some hotels require visual identification checks and a credit card verification at the front desk. Another thing is that SPG Platinum members might want a suite upgrade rather than be given any best available standard room, so they might still want to drop by the front desk. For now, the smart phones available to use this feature are iPhone 4s and above with iOS8 installed and selected Android devices running Flavour 4.3 and above. And your reservation must be for only one room, reserved via the SPG app, websites or direct via their call centre. Finally, the program is currently conducted for 10 properties and scheduled to be rolled out to aloft, element and W Hotels only within the SPG group. On top of the target demographic for these hotel brands, I think it also has got to do most of these hotels are newer and thus has the modern and same receiver on the doors that are able to ‘communicate’ with the smart phones. While still limited in use, I kind of like this new innovation by SPG (even though it means I get less chance to collect the nice W Hotel key cards) as this reduces the hassle of queueing or waiting for the front desk agent and chances are you’re not going to lose that key card on a night out in the city.